Though he won the Gold Medal at Inverness in 1984, and two straight Clasps there in 1989 and 1990, his style has more often been the antithesis of the successful competitive piper, particular in piobaireachd. He has been strongly influenced by a wide range of traditional music plays Scottish smallpipes, Border pipes, whistle, harmonica, button accordion and Jew’s harp. Like that of his brothers, his playing reflects a style of power and rhythm deeply rooted in the Highlands of Scotland. Composing is part of his make-up, with commissions from media and arts organizations forming a substantial part of his livelihood. His most recent is from the William Wallace Commission in 2006. He was also awarded the journalists’ choice Herald Angels Award for best concert series at the Edinburgh International Festival in 2004. His Moidart Collection of bagpipe music, published in 1989, gave the piping world traditional compositions and arrangements in a new style. Many of his tunes have been recorded by bands and soloists around the world and are extremely popular in the session scene in Scotland. His innovative quick-waltz arrangement for “The Foxhunter’s” jig caught on in a 78th Fraser Highlanders medley that won the 1987 World Pipe Band Championship and can probably be considered the official launch of that extremely popular time signature in the piping world today. His slow airs and reels have also moved the tradition forward, though with a firm grasp on the past. 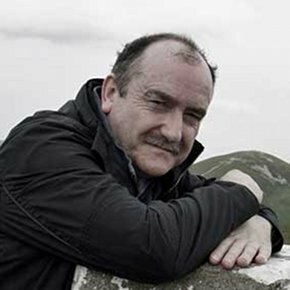 In 1995, Allan finished a M.Litt thesis at the University of Edinburgh’s School of Scottish Studies that explored the relationship between piobaireachd and Gaelic language rhythms in song. From this work came radical new interpretations of piobaireachd that he has played frequently in public and on his 2007 recording Dastirum.Earlier recordings with Gaelic singer Margaret Stewart –Fhuair mi pog (1998) and Colla mo Run (2001) – also explored this theme, both on Highland pipes and smallpipes. Allan currently lives in Edinburgh and teaches at the National Piping Centre in Glasgow where he specializes in the degree program offered by the Centre in conjunction with the Royal Scottish Academy of Music and Drama. Few pipers are more in demand at traditional music workshops and festivals on the European continent.